If you’re looking for high quality, genuine OEM parts in the Indianapolis area, you are in the right place! 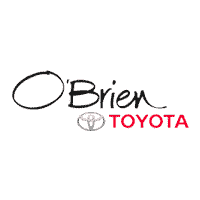 Here at O'Brien Toyota, we carry a wide variety of parts for your vehicle, and, if we don’t have the part that you need at our Toyota dealership, we can get it for you quickly. We understand that your time is valuable, and we are here to make sure that your Toyota doesn’t skip a beat. If you need help finding a particular part, contact us online, or stop in today!Own a Scion? Your Scion will receive proper care by trained technicians using Genuine Toyota Parts. When it’s time to breathe new life into your engine, look no further than O'Brien Toyota for service you can trust, and parts you can count on. 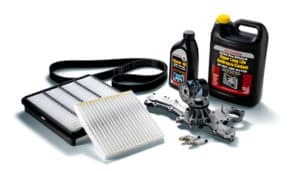 Toyota recommends replacing your engine air filter every 30,000 miles or 36 months under normal driving conditions and recommends inspecting the filter every 15,000 miles or 18 months if you frequently drive in a dusty environment. So, if your engine is ready for a breath of fresh air, stop by O'Brien Toyota and we will get your vehicle running like new again quickly and efficiently. Noticing problems with your car battery? We can help you find out if it’s time for a replacement, and provide the genuine Toyota battery you’ll need.